By Molly | October 19, 2010.
come under attack due to soaring ticket prices for events at the stadium, while the FAI are facing serious problems selling tickets. So it leads us wonder: what is the real cost of the stadium? 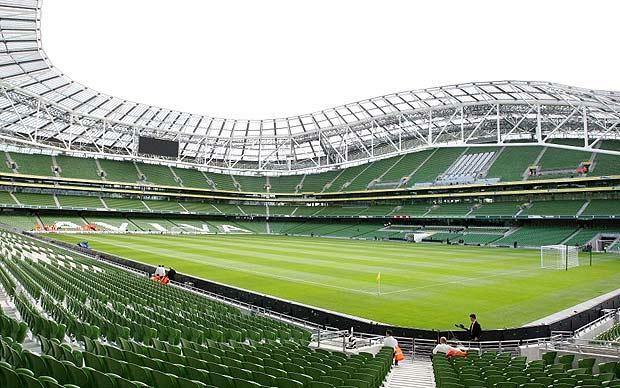 The total cost of building the Aviva was €411m, out of this, the Government injected 191m of the taxpayer’s money, and the remaining amount, €220m, is to be paid by the co-owners of the stadium, the IRFU and the FAI. 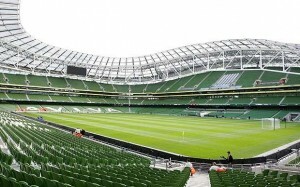 The IRFU have increased some ticket prices by up to 21% and are facing huge opposition. One of the biggest increases is on their schoolboy tickets which were priced at €5 for an autumn test series match in Croke Park; this has now jumped to a minimum of €20 for entry to the autumn test series match against Samoa which will be hosted in the Aviva. The prices of their Six Nations matches have seen significant increases across the board. Supporters could buy premium tickets to all three home games in Croke Park last year for a total of €285, while it will cost them €250 for only two home matches in the Aviva. Schoolboy tickets have seen the biggest rise; where €30 paid for all three matches in Croke Park, the price to attend two matches in the Aviva is €80 – a whopping 300% increase. The FAI are facing other problems whilst footing the debt of building the stadium, and are struggling to sell tickets even at seriously reduced prices. The Association, which is already showing major financial difficulties due to little interest from major sponsors, is also losing the faith of the league teams due to the lack of tickets being sold. fail to sell many of their tickets, leaving them with many to sell on a match to match basis. Add to this the fact that supporters who purchased these premium decade long tickets are paying 500 euro per match and could inevitably end up sitting next to a fellow supporter who has paid a mere €70 for the match. Although the Aviva stadium has been praised by Irish heavyweights in both football and rugby, it seems that its flawless exterior is only skin deep.